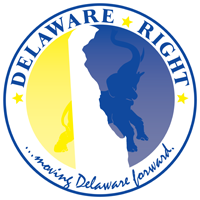 The following is Doug Beatty’s “interview” of Lacey Lafferty, the so called candidate for governor of Delaware in 2016. Notice the third grade attempts to get me to call in and add actual content to the show. 7 Comments on "What Passes For Political Discussion In Fringe Land"
I posted it so people can hear how the fringe behaves, if they didn’t already know. I do wonder though, does Lacey Lafferty realize that she was welcomed into the studios so that Bill Colley and Doug Beattey could take their cheap shots at me? Notice, they may have said my name more than they did Lacey’s. She was being used and most likely still doesn’t know it. So now she can thank me for covering her non-event, and for getting her air time on “Hate Radio”. So now she can thank me for covering her non-event, and for getting her air time on “Hate Radio”. You sound just like the hysterical liberals on PMSNBC- just substitute WGMD for Fox News. Rick, I have known you for years from hearing you on the radio and your comments on blogs, and I have to tell you that you should work on new insults. The whole “liberal”, and “socialist” mantra is old and tired. wgmd is like a soap opera. tune in after a year, listen for five minutes and you are caught up. they are irrelevant to a large extent in terms of influence. i think they are having a hard times coming to terms with that fact. Lynchings in dover that were covered up by the dover PD? The polution in Posssum Point that was covered up by DNREC? How the Party caused a loss in a recent Council Race? I ask these questions to probe the thought that it takes more to be a candidate, than just rounding up some supporters in the echo chamber ( sorry Frank ) self publishing a childrens book, playing with pistols, and filing for office. WP, no offence taken about the echo chamber, WP, no offence taken about the echo chamber chamber chamber chamber. Damn it is loud in here isn’t it? As for your questions, valid as always. It seems that many of our want to be candidates are able to find and stir the pot, yet rarely have any real ideas of how to empty the pot. Something about not having a window to throw it out of comes to mind for some reason.